This guy is amazing! From the comments on YouTube I deduce that he placed high at World's this year. This article first appeared in the July/August issue of Feis America Magazine. Eight women from the Crawford School of Irish Dance made history when they became the first adult ladies team from the state of Utah to compete in a regional competition. 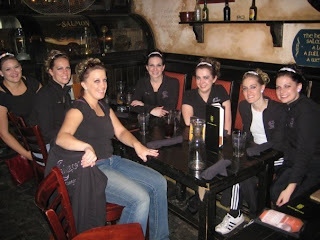 In November, the team attended the Western Regional Oireachtas in Denver, Colorado. After an early morning of preparation, the ladies danced their ceili. Some of them felt that they had never danced better. The audience agreed, and comments like “Nice altitude” followed them off the stage. Suspense and anticipation built as the team waited to hear their results. When the five judges tallied their marks, the women were thrilled: they had received third place! 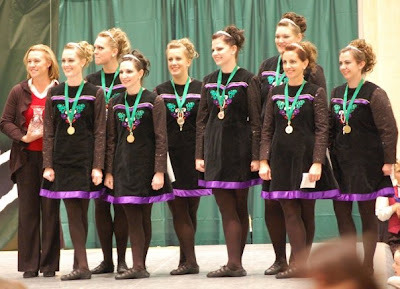 The delight of placing and the contagious excitement at the Oireachtas made the trip a success. 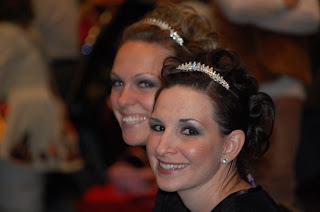 But when the event was over and the ladies returned home, they agreed that the biggest bonus came from making Jill Crawford, their TCRG, proud of them. So now that the Crawford adult team has made their debut, when will we see them next? Watch closely, you may catch a glimpse of them making history as the first adult team from Utah to attend Nationals in July!